Cassie Moore, customer business manager for Hormel Foods, was among those in attendance, grinning from ear to ear at what her co-workers and her company have done for children who find refuge at the Northwest Arkansas Children’s Shelter. For a quarter of a century, the organization has served as a 24-hour emergency residential care facility for children who are victims of family violence, abuse and/or neglect. Since it opened its doors in 1993, the residential center has welcomed in excess of 9,000 children, giving them on-site schooling, counseling and other services during their stays. It was also gratifying to see the team effort that brought the project to life. 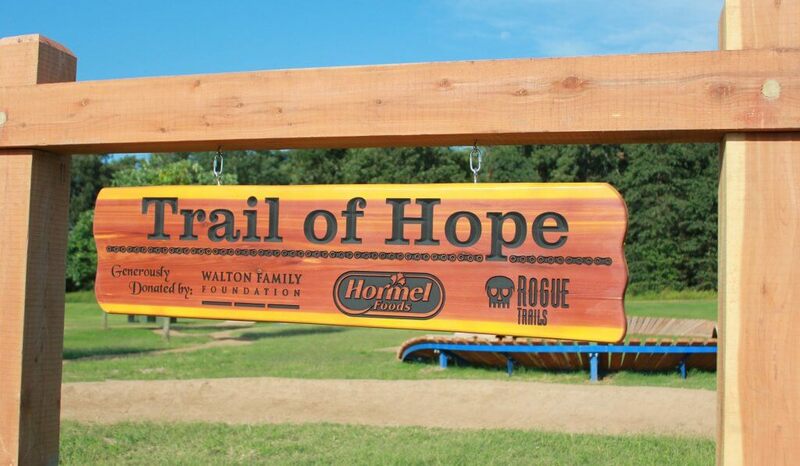 For instance, Hormel Foods joined forces with the Walton Family Foundation to fund the endeavor. 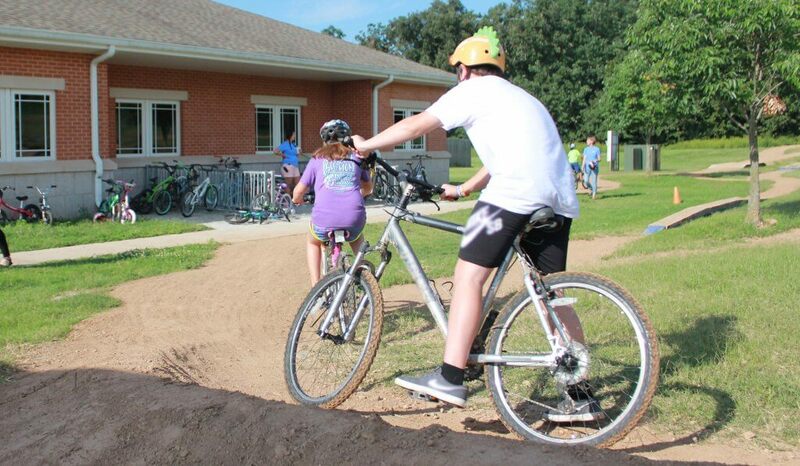 (It helped that two heirs to Sam Walton’s fortune – grandsons Tom and Steuert Walton – are cycling enthusiasts as well as philanthropists.) 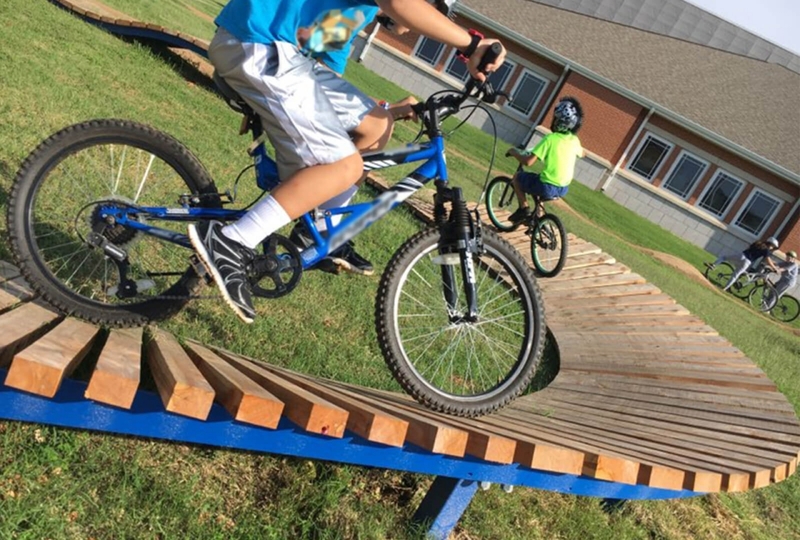 Rogue Trails of Rogers, Ark., designed and built the outdoor course, which boasts 1,100 feet of trail with a beginner-level skills course and a 350-foot wood and metal pump track for more experienced cyclists. Area companies and communities came forward with donations of bicycles and helmets. Even the kids pitched in, choosing the name Trail of Hope. For Cassie, the dedication marked the culmination of three years of planning and dreaming. 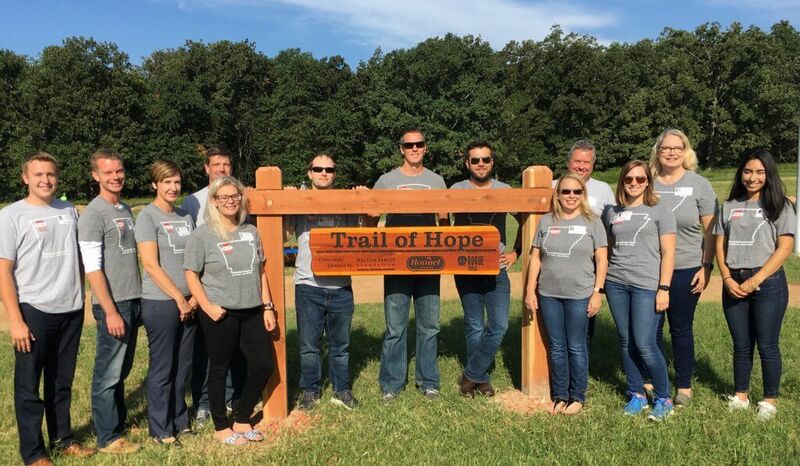 At the same time, it reaffirmed her belief that a change in 2015 in the Bentonville Sales Office’s corporate giving strategy was the right thing to do. So, Cassie and other members of the Bentonville Sales Office invited community organizations to make presentations. When the children’s shelter took its turn, “It was immediate,” Cassie says. The goals and objectives lined up, the cause was worthy, and as a bonus, Hormel Foods associates would be welcomed as hands-on volunteers. “Once a quarter, we try to do a fun activity with the children,” Cassie says. Sometimes that involves a round of disc golf made possible by another Hormel Foods donation: a nine-hole course where each hole sports a beloved brand name such as SPAM® and SKIPPY®. The course was put in place in 2017. All told, the sales office has contributed nearly $100,000 and many volunteer hours to the shelter, and it’s been formally recognized for its gifts of time, talent and treasure. Twice since partnering with the shelter, Hormel Foods was named Volunteer Company of the Year, standing out among more than 100 other companies that lend a hand to the shelter. But for now, Cassie has other things on her mind. There is always more to do, she insists. 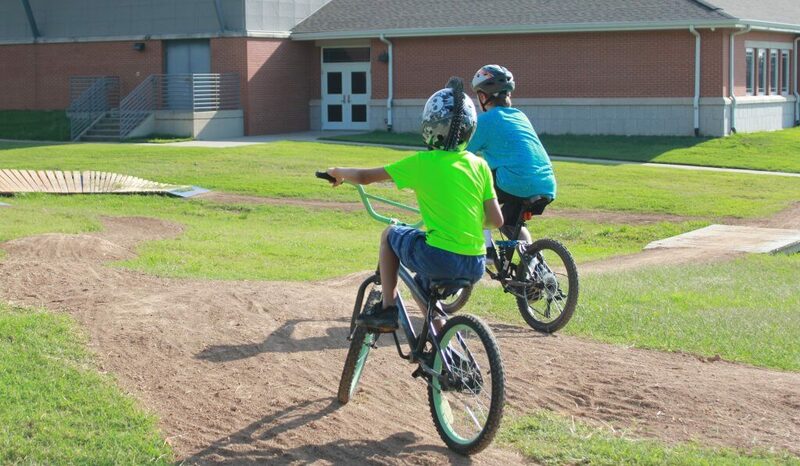 “Wouldn’t it be great if the kids could take a bike with them when they leave the shelter?” she says wistfully.